From personal experience 2012’s ‘Terminal Epoch’ album was my introduction to Gnawed and with its excellent blend of US power electronics and death industrial musings it received high rotation over many months. With that template following through to 2014’s ‘Feign and Cloak’, now 2 years on the new and third official album has arrived and seeing Gnawed rerouting their established approach into more brooding and ominous territory. To describe the general order of proceedings, the album constitutes stark arrangements of drawling foghorn drones, layered synth derived sludge, slow echoed pounding beats and a greater emergence of metallic ‘clang and clatter’ which is roughly hewn into rhythmic structures. With its overarching atmosphere oozing urban decay, this tone evident from the methods of recording the junk metal inputs, which according to the liner notes: “all scrap metal, performed percussion and natural sounds were recorded within sewers and rotting abandoned industrial complexes in Minneapolis, 2015”. Although vocals do not feature on all compositions, when they are used they’re universally distortion drenched and agonized in delivery, and as is typical for this fare the lyrics are completely unintelligible, but the aggression and anguish in conveyance is tangible. With its 9 tracks and 56 minutes, the sound and mood does not hugely deviate, but more plays out on variations on broader sonic themes, thus with the constant mood being grim and grey toned throughout, and with the greater reliance on looped junk metal being an noteworthy element. 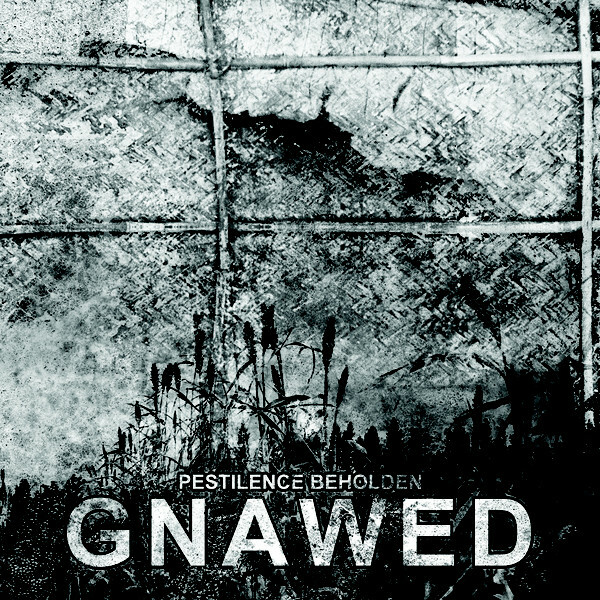 With is greater display of structure, control and restraint, this is another excellent addition to Gnawed’s discography. Moving on to ‘Calm Morbidity’, it represents the new album from US stalwart Steel Hook Prosthesis and would seem to be the 9th formal studio album (excluding splits and live albums), from this project since the early 2000’s, again demonstrating them to be in strong and consistent form. Constituting a further excursion into their established clinical and medical obsessed death industrial approach, in some ways the album title is a clear synopsis of what can be expected from this album, noting that the overt aggression and sonic maelstrom has been pared back (to the bone?) to reveal greater brooding restraint (…that said, this a still far cry from potentially being tagged as ‘dark ambient’). The heavily processed vocals remain as a particular trademark, while the sonic base is cleaved into slow to mid paced rhythmic structures of throbbing distortion, erupting static, sustained caustic noise and dour synth drones to create varied offerings of brooding intensity and morbid intent. Yet despite its broader restraint, there are specific instances where greater aggression erupts such as is displayed on both ‘Hand of Glory’ and ‘Stranguary’, which both feature variations on fast paced pulsing distortion, textured noise and garbled static infused vocals. 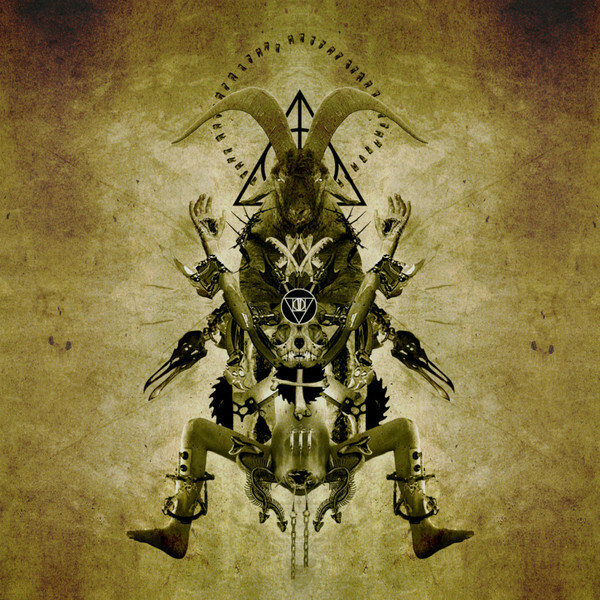 Also of note are the sonically processed medical based samples on ‘Deep in the Marrow’, which seem to be in complete homage to the same style of treated medical samples used by Carcass on their classic ‘Necroticism – Descanting the Insalubrious’ album. With 10 tracks at just short of an hour play time, rather than being a particular step up in refinement this is perhaps a side step into slightly more restrained realms, but with the broader sonic palate remaining staunchly recognizable as Steel Hook Prosthesis. Noting the ever so so slight shift in focus, I would not say this album is merely ‘more of the same’, nevertheless a key point to be made is if prior output is to your liking, this will again do the trick (…but equally this won’t alter your mind if you were not convinced by earlier output). 6 panel DVD sized digi-pack rounds out the visual presentation. This entry was posted in 2016, death industrial, industrial, Malignant Records, power electronics by noisereceptor. Bookmark the permalink.